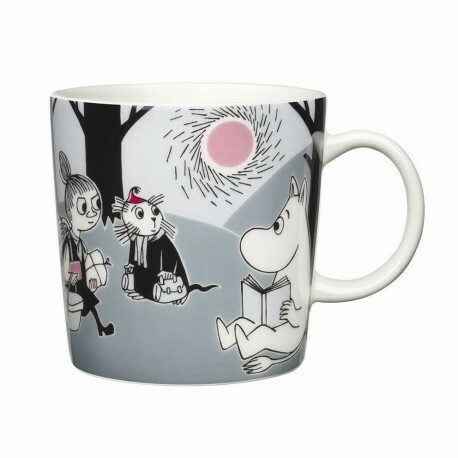 The Adventure Move mug by Arabia from 2013 features a famous motive from Moomintroll and the comet. Arabia artist Tove Slotte has designed this delightful Moomin object keeping with the original drawings. The Moomin mug has Moomintroll, Little My, Mymble and Snorkmaiden in the illustration and it will certainly delight both young and old.